Bernard Parmegiani (1927-2013) was one the most formidable composers to emerge from Pierre Schaeffer’s music research group the GRM in the 1960s. Parmegiani’s work abounds with a vivacious corporeality. His compositions are extremely animated and dynamic, and the sounds he composes with are especially distinctive for their kinetic physicality and visceral presence. They meld environmental noises and impulses with electronic sounds and enhancements in a way that, as clichéd as it is, can best be described as alchemical. Yes, there is much in the way of transmutation or, to evoke Catholicism, trans-substantiation. A sound event or impulse without discernibly doing so becomes another event or impulse, or becomes redolent of something else, and one starts to question the nature of what one is hearing. One becomes an active listener. It is true acousmatic music. There is also a great sense of humour and a genuine sense of motion in his work. Interestingly, Parmegiani trained to be a mime artist with Jacques Le Coq in the late 1950s. His album De Natura Sonorum (1975) is the defining musique concrète LP, a masterpiece. Notable for its exquisite timbral richness and dynamic interplay, it is also very percussive and physical. When you hear what sounds like a woodblock being struck it sounds and feels like it’s happening six inches away from your head. Although it is part of the musique concrète canon and was composed in 1975 it still radiates a sense of being sui generis and extra tempus. Parmegiani was also a prolific composer for television and cinema, working notably with the Polish auteur Walerian Borowczyk. In Daniel Bird’s short documentary Eyes That Listen, he discusses his soundtracks for Borowczyk’s animations: ‘It’s a type of music which on purpose doesn’t exaggerate distance from the sound to the image… what you see and what you hear… is as in real life… when something falls down the chute it falls down… da, da, da…’ I think he’s underplaying just how unique his sounds actually are. Parmegiani wasn’t the only composer Borowczyk worked with. Indeed, the Polish director was something of a pioneer in using electroacoustic music in animation. In collaboration with animator Jan Lenica, he had already worked with composers like Andrzej Markowski and W?odzimierz Koto&#324ski, both members of the Experimental Studio of Polish Radio. 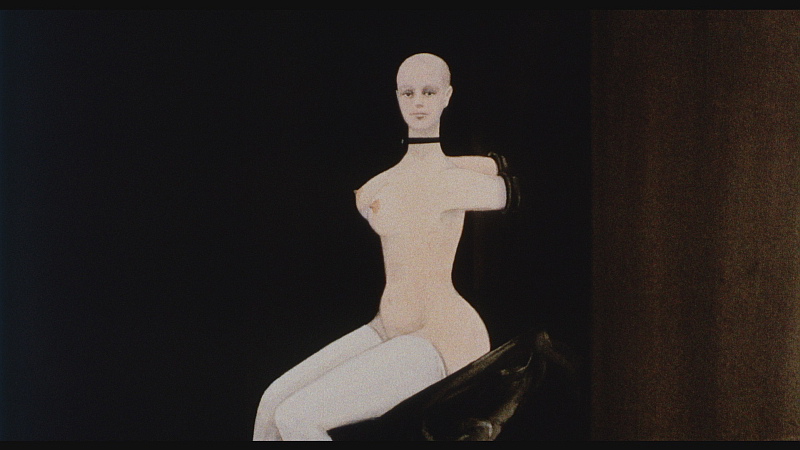 It was after Borowczyk came to France in 1959 that he started working with Parmegiani on a number of films, including the macabre 12-minute animation Les jeux des anges (1964). Perhaps Parmegiani’s most widely heard but little known work is the ident for announcements at one of Paris’ major airports, Indicatif – Aéroport Paris-Charles-de-Gaulle. This stunning, glistening micro-composition is full of mystery and magic and excited the ears of travellers for 34 years between 1971 and 2005. I met Parmegiani once. It was at a London Musician’s Collective concert at the Institute of Contemporary Art. He was sat drinking wine with his wife, relaxing before he diffused some of his work through a monster sound system. I’d recently released a 20-minute composition on a 3” CD published by the Spanish label Oozebap. I gingerly approached Parmegiani and offered him a copy of the CD. He asked me what was on it and I said ‘It’s a collage…’ He looked back at me doubtfully and said with a slight rising inflection and hint of incredulity, ‘You like collage?’ I don’t recall my reply. Camera Obscura: The Walerian Borowczyk Collection is released by Arrow Academy on 8 September 2014. This unique limited edition box set (dual format DVD + Blu-ray) includes the short films, The Theatre of Mr and Mrs Kabal, Goto, l’île d’amour, Blanche, The Beast and Immoral Tales. Richard Thomas will be part of a musical response to Walerian Borowczyk’s film scores at Café Oto, London, on 10 June 2014: Octothorpe presents Borowczyk: Mise-en-scène, featuring Aleks Kolkowski + The Dufay Collective (Vivien Ellis, Jon Banks, Paul Bevan & William Lyons) + Secluded Bronte (The Bohman Brothers & Richard Thomas) + short films. Listen to Richard Thomas’s Bernard Parmegiani obituary/homage programme made shortly after his death. George Antheil, the pistol-wielding, self-styled ‘bad boy’ of the European branch of the Roaring Twenties avant-garde composed Le Ballet mécanique in 1924. Scored for eight pianos, eight xylophones, pianola, two electric doorbells and an aeroplane propeller, it was scratched out in the context of post-WWI technological and sensorial momentum. When art either looked askance or fluttered its eyelashes coquettishly at the pyschotropic dimensions of the world. A world perceived from a multiplicity of angles, far away and at high speed. Mechanised warfare, aviation, railways, automobiles, skyscrapers, telephones, super mass production, jazz, radio, cinema, futurism, cubism, dada, surrealism, Duchamp and all manner of post-traumatic stress disorder freak-outs. Antheil would have adored the Heathrow Express. Antheil’s score was originally commissioned to accompany Fernand Léger’s film of the same title, shot by Man Ray, but it was twice as long and could never be synchronised with it. The only commonality the two works have is, seemingly, their title. 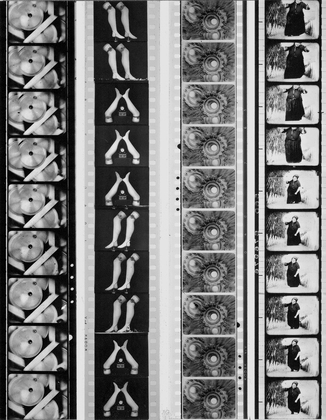 Léger’s film flickers like an ashen moth in a lethargic strobe light. Antheil’s score has the quality of a combustion engine with brass fittings and a modicum of grease. In 2000, technological advances allowed Paul Lehrman to combine an edited version of the original score with the film. This version appears on the DVD box-set Unseen Cinema: Early American Avant Garde Film 1894-1941 released by Image Entertainment in October 2005. A bombastic, belligerent, percussive work, vulgar in its way, formed from a lattice of insistency. Xylophone and the hi-frequency linear vibrations of doorbells evoke a mirage of movement that lances through the dense mahogany clusters and churnings of mass piano vamps. Vamps that chase linear rhythms like Keystone Kops in pursuit of a villain. As a quaint anthropomorphic fantasy of mechanic frenzy, an homage to the resilience and persistence and oppression of advanced capitalist production, it is indeed quite witty. It certainly wouldn’t be out of place accompanying a Keaton catastrophe or, as mentioned, a Keystone caper. In terms of composition and arrangement, if you’re looking for comparisons, Antheil’s piece is closer to Sabre Dance by Aram Khachaturian than VarÃ¨se, Russolo, Cowell, Stravinsky, Schoenberg, Webern, Berg or any other important modernist composer. It’s rather weak tea to Léger’s biscuit too, best not to dunk.